Are you tired of stepping around your loose or hollow floor tiles? If your grout is cracked or if your tiles feel loose or sound hollow, the Groutsmith can repair your tiles with our re-bond procedure that re-secures your tile to the subfloor. We inject our proprietary tile adhesive that fill the voids between the tiles and subfloor. When this adhesive dries, the floor is solid and the loose tiles are re-secured to the subfloor. 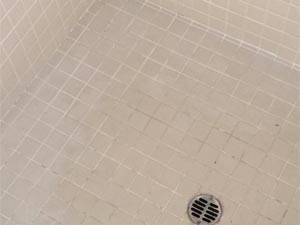 We repair or replace the broken grout with our color matched grout and sealer.